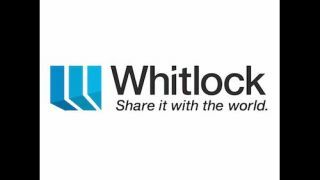 Whitlock is celebrating its 60-year anniversary at InfoComm this year. The company plans include a unique presence on the show floor with Pexip (booth N2437), as well as a happy hour and other celebrations with top customers and partners. Whitlock will have a Microsoft Surface Hub on display to demonstrate to InfoComm attendees how this unique device is helping transform business. The Microsoft Surface Hub brings new capabilities for connecting remote and local employees, sharing content—including visualizing data using 3D rendering apps—and live annotation to groups located in different locations. Plus, the 4K-display resolution and multi-touch and inking capabilities of Surface Hub stand out in the market. In its booth, Pexip will be presenting its scalable platform for businesses interested in less hardware, and more flexibility for video meetings especially for a remote workforce. Whitlock is a Pexip reseller and solutions provider, and also offers a range of virtual solutions for businesses using the cloud. Whitlock is promoting its growth and longevity by sending more than 60 delegates to take part in its 60-years celebrations at InfoComm. This also includes a presence in the Careers Zone in booth N1675m, where the company hopes to attract new talent during the show. “For me, it all comes down to hiring the right people that can develop and sustain your culture,” said John Whitlock, chairman. “This strategy has worked for us and delivered steady growth since our inception. We are very proud to celebrate this 60-year milestone."